Simplicity of design with only one shaft and direct drive produces robust, long-lasting vacuum pumps with low maintenance and running costs. 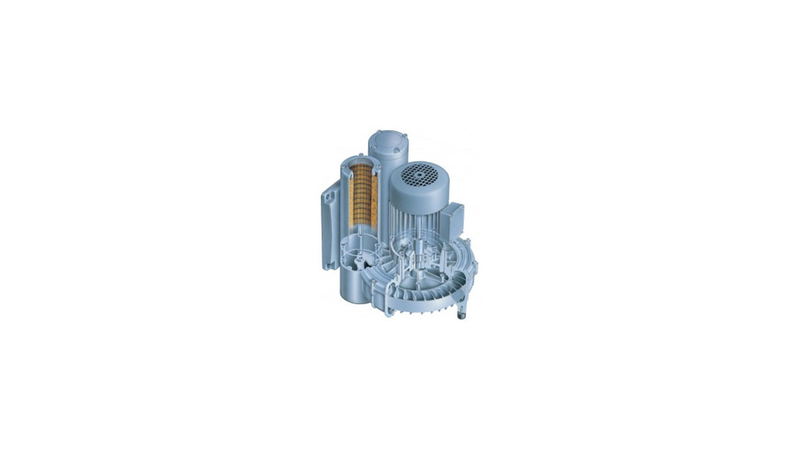 These vacuum pumps operate completely oil-free; the individual chambers are separated by long-life vanes. Already featuring integrated intake filters and control valves, these vacuum pumps can be fitted with other accessories without a problem. The compact cover ensures low noise and heat emission. Optional corrosion protection also makes these vacuum pumps suitable for extracting moist air.